First up, go to Website Pages and create a new page. 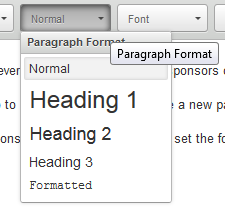 Give the sponsors section a heading and set the format to Heading 3 - that way it'll look great on the page even though it probably won't in the editor. 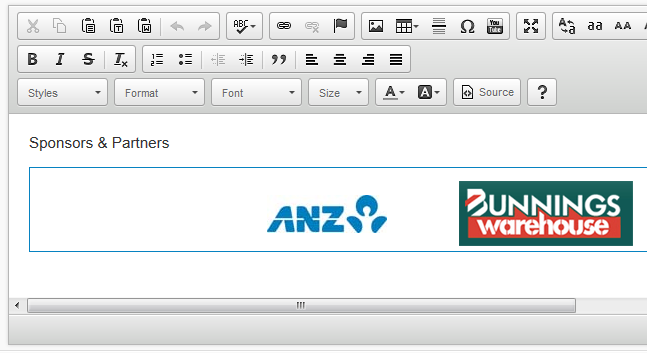 Now, add in the logos and links to your sponsors. It may be better to link to a page on your website that talks about how the sponsor can help your members than to link directly to their website. The secret to making this work is the page tag that you add. By adding the tag "footer-sponsors" PIMMS knows to use that as the sponsors section, rather than to treat it as a full website page.